Shelley, here's hoping crowdsourcing your family photograph mystery will be just the thing to bring you some answers. It certainly seems plausible that this is your man, based on the reasons you've already provided. But I know what you mean: finding another photo of Newel King would provide some confidence to this theory. Thanks, Jacqi, that's exactly what I'm hoping. You never know! An intriguing post and I think you are right - the photograph could be of Newell King - and what a handsome young man he was. 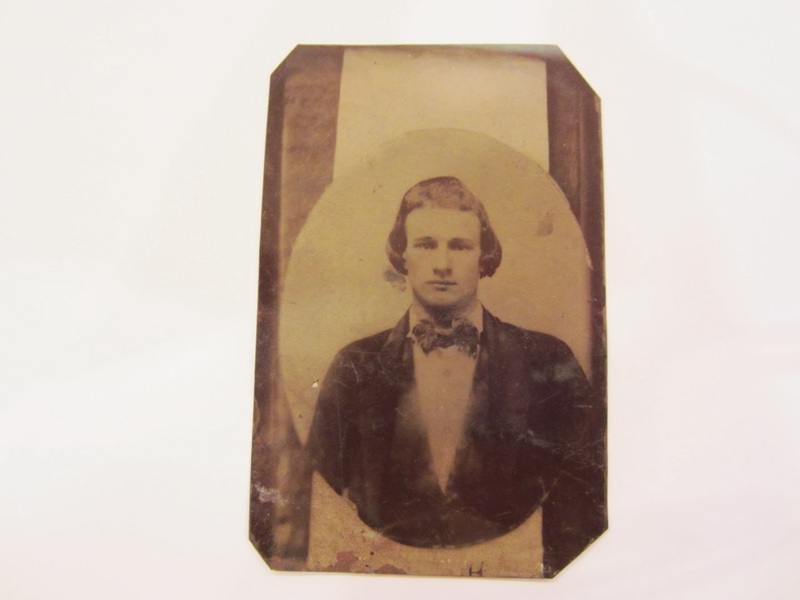 Good luck in your search - I had to wait 10 years before one of my key unidentified photographs was named - with my blog providing the link to a newly found third cousin in America. Ten years! That's amazing--glad you were able to get an identification in the end. How wonderful that your blog was the gateway to your new cousin. That gives me hope :) Thanks for reading and letting me know of your success, Sue! Shelley, I don't have any help for you in knowing if your photo is a portrait of Newel King but I'm remembering a RootsTech session Dave Barney gave 2 or 3 years ago about using google for family history. He had a photo of himself and his wife in front of a church which he uploaded and then asked google images to find similar photos. He already knew the location of the church but google images identified it for his audience (who didn't know the location). I don't know how closely it looks at faces to determine differences but it might be worth a try, just in case there's another image of Newel King somewhere on the internet. I'm sorry I don't remember the process but you could probably find it using google. I hope someone sees your post and contacts you! Thanks, Nancy! That sounds like it'd be worth a try. I'll look for Dave's process. Shelley, I was just browsing my 52 Ancestors emails from last year. I'm trying to sort out my KING ancestry for this week's topic. Do you have KING ancestry as well as BALLENGER ancestry, and if so, is it on the same "branch" of your tree, and if so, were they once in Kentucky?